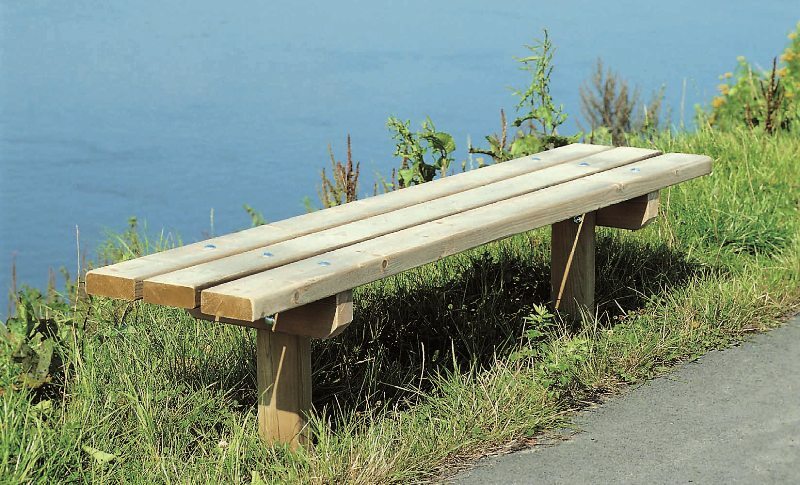 A simple timber seat without backrest for ground fixing. The boards are secured with bolts and nuts. Can be place with a table.